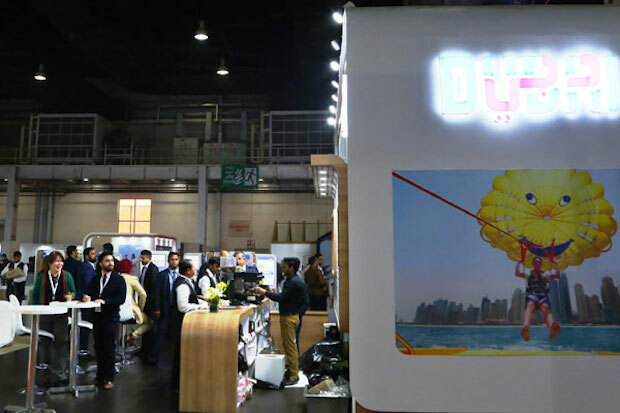 Dubai Tourism has reinforced its commitment to the India – one of its top performing source markets – by taking part in SATTE 2019. The 26th edition of South Asia’s largest travel and tourism exhibition took place in January, in Greater Noida, India. The event marked the first international roadshow of 2019, and Dubai Tourism will be represented at key international trade shows over the next 12 months, continuing to strengthen its presence across its global audiences. Bringing together Dubai’s network of industry stakeholders across the public and private sector, to share key market insights, SATTE 2019 offered a valuable platform for partners to strengthen business opportunities and forge new relationships with leading business to business (B2B) and business to consumer (B2C) travel professionals. Dubai Tourism was supported by partners including Emaar Hospitality Group; La Perle; Atlantis, The Palm; Dubai Parks and Resorts; Jumeirah Group; The Ritz Carlton Dubai International Financial Centre, and Burj Khalifa among others, to highlight the destination’s ever-growing portfolio of bespoke experiences. The latter included new attractions, cruising itineraries, cultural offerings and the city’s popular festivals calendar, anchored by flagship events such as Dubai Shopping Festival, Dubai Food Festival and Dubai Summer Surprises. The strategic platform enabled all parties to explore various networking and business opportunities with leading tour agents and local partners, with a focus on driving repeat visitation and further enhancing the visitor experience of Indian tourists during their stay in the emirate.